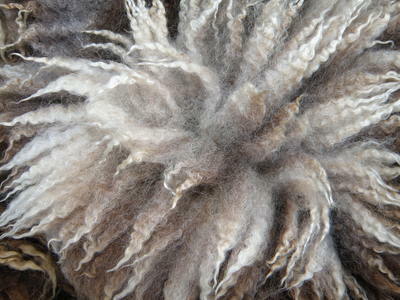 Over the years, Painted Rock Farm has worked diligently to produce nicely fleece sheep. Heritage sheep like the Jacob are quite different from their commercial counterparts in many ways but, none so obvious than in the wool department. 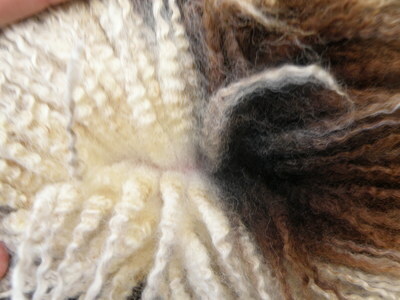 Commercial sheep seem to produce much of the same wool type throughout the animal. For example, Merino's are consistently sought after to produce lots of finer wool. 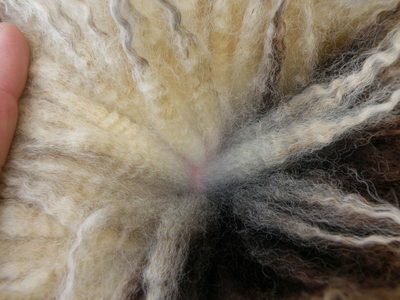 Added value fiber like angora and alpaca can certainly add to this desired softness next to the skin. While a Jacob cannot complete with the fineness of a Merino, our sheep excel in the area of being multiple purpose! 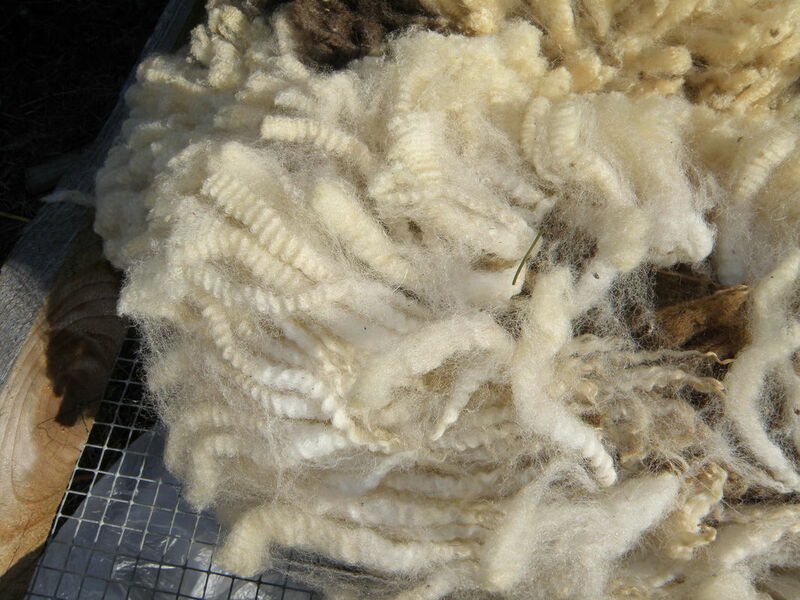 On a Jacob sheep, you might find the finer (softest) wool along the back and sides while the slightly coarser wool (in the britch) might be more suitable for garments requiring more durability, such as mittens or socks or even rugs! Fleece that can be used for a variety of different projects is highly sought after by today's small homesteaders. Who doesn't like an all-purpose animal?!? As our girls age or are no longer used for active breeding, we place them into our fiber flock. Pregnancy draws nutrients into producing healthy lambs above all else. During times where hay quality might be lower, the fleece can be compromised and of lesser value. Our fiber girls don't have that worry! These ladies are putting all they have into producing lovely locks that are harvested (sheared) in mid-to-late March each year. We then can offer quality fleeces to our customers. Hand-spinners, weavers and knitters all enjoy our wool in various stages. COMING SOON! We will have a separate page for available ﻿﻿Farm Products﻿﻿, including raw fleece, roving, yarns and tanned pelts (when available).